‘What is the Mediterranean?’ Fernand Braudel asks himself when considering that it represents a thousand things all at the same time, a number of landscapes, a variety of seas and cultures connected one to another, ‘stratified’ cultural models. Modern architecture within the Mediterranean area has developed as a cultural expression which answers to subjective choices, whilst nevertheless referring back to the structural tradition, reinterpreting and innovating it by turning the relationship between the morphologic aspects of architecture and the aesthetic of technique into a new point of strength. The architecture of the Mediterranean tradition has left a cultural inheritance with several references and represents the result of the union between cultural and production motivations. The processes of territorial transformation have focused on the construction of a habitat consistent with those environmental conditions which only the modern age has ignored as a result of the solutions provided by the industrial evolution of the transformation processes. Examples of the tradition remain in the Greek and Roman planning with their ‘open’ rationality which allowed for change margins within general structure rules. In particular, as Emilio Sereni underlines, the centuriatio process over the centuries has led to ‘landscape inertia’. The intelligent and courageous use of local resources, materials and typical techniques can lead to the presentation of local elements in the necessary contemporary and innovative terms. Some contemporary architectural structures, far from fashionable morphologic and technologic self-reference, represent the sound evidence of a planning research line where the architecture ‘learns’ from the context, while maintaining with it cultural, structural, tectonic and environmental connections and by expressing their entire contemporaneity. 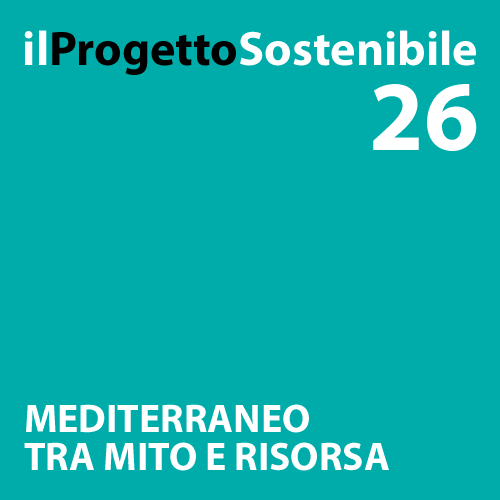 Attualmente la forte estremizzazione dei termini del dibattito culturale sulle antinomie globalizzazione/localismo e innovazione/tradizione richiede di attivare un continuo processo di ricucitura dei saperi, aprendosi da un lato alle diversità e a quanto avviene nei contesti internazionali, salvaguardando dall’altro la ricchezza costituita dalle differenze. I rischi di estremizzazione sono notevoli: si assiste sia al rifiuto della tradizione a favore di una innovazione omologata, sia all’adesione ai valori dell’identità dei popoli o dei luoghi che degenerano frequentemente in populismi e regionalismi.